For its 2018 edition, the Trail World Championships moves to Castellón de la Plana, Spain. Co-administered by the International Association of Ultrarunners and the International Trail Running Association and hosted by the Penyagolosa Trails race organization, the championship race has moved back up to an 85-kilometer (53-mile) distance after last year’s shorter 50k. Some 4,900 meters (16,000 feet) of climbing and 3,700 meters (12,000 feet) of descending are packed into those kilometers, however, and the course begins at almost sea level on Spain’s Mediterranean Coast and climbs through the at times vertiginous and almost always hilly landscape to finish at the Sant Joan de Penyagolosa sanctuary on Penyagolosa Mountain, at 1,280 meters (4,200 feet) altitude. With the descending close to evenly dispersed along the course and and extra 900 meters (2,900 feet) of climbing in the race’s second half, the race should suit those who can run swiftly early, switch to strength-based running later, and save energy for the extra climbing in the race’s second half. The Trail World Championships rules remain the same as in years past with individual and team medals. In the team competition, countries can race six official team members and travel with alternates. Three team members and their cumulative times combine to score the team competition, with a tiebreak lying in the performance of tying teams’ third runners. We’ve structured this preview to highlight the deepest teams with members who can help contend for both team and individual medals first followed by individuals who are likely to contend for individual placings only. Click here and scroll down to view the full entrants list. 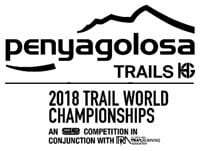 The race starts at 6 a.m. on Saturday, May 12th, which is 10 p.m. MDT Friday night in the U.S. Of course, we’ll be reporting on the Trail World Championships live! Tune in to our pre-race, during-race, and post-race coverage all week. Be sure to check out our in-depth women’s preview, too. You–the iRunFar reader and follower–can help make our coverage of this race possible. With that in mind, please consider becoming a monthly supporter of iRunFar on Patreon or making a one time donation via PayPal. Thank you! The way I see it, the team race should come down to a duel between Teams Spain and France, as it has the past few years, and so I begin with them. Team Spain is the defending gold-medal team but interestingly enough, they’ve shook up their team a bit, not returning the third- and fourth-fastest team members from last year. 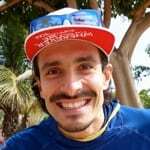 Luis Alberto Hernando (pre-race interview) is the two-time defending Trail World Champion (2016 and 2017 interviews), having proved his diverse abilities in winning at the 80k-ish distance in 2016 before winning at last year’s 50k-ish race. Also in 2017, Hernando won High Trail Vanoise and The Rut 50k. It looks as if he’s put in one tune-up race this year, at a non-competitive 54k in France about a month ago, winning by almost a half hour. Hernando has said he is singularly focused on this race. Cristofer Clemente finished second last year, just a minute back of Hernando, in what I believe was his first time on Team Spain. 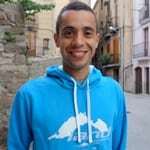 The Canary Island dweller’s top performances since then have been a second place at the 2017 Mont Blanc 80k and a third place at the 2018 Transgrancanaria. I should mention that Cristofer is an incredible closer, and demonstrated that ability at this race last year. I think this year’s race course, with its more difficult second half, favors him. Pablo Villa was Team Spain’s fifth-place finisher last year, and he’s back again. Though he was the fifth-place team finisher, he took 10th overall. It looks like he took part in the 64k Transgrancanaria Advanced a couple months ago, handily winning, which I believe served as a Team Spain qualifying event. He also ran the Reventón Trail in April, a Spanish early season barnburner on the Canary Islands, taking 11th. Efrén Segundo competed for Team Spain last year, too, but finished as a team non-scorer and an hour back of the winners. This year, he’s been fifth at the Transgrancanaria Advanced and sixth at Reventón. Juan Jose Somohano and Santiago Mezquita each earned team spots by taking respective third and fourth places at the 2018 Transgrancanaria Advanced. 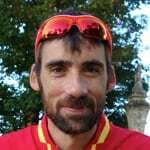 Pablo Villalobos is Team Spain’s alternate at the time of this article’s publishing. He looks like a solid alternate, though, having taken third at the 2018 Reventón Trail, in doing so beating out teammates Segundo (sixth), Clemente (seventh), and Villa (11th). Team France has historically brought a strong team to this event, and they were the 2015 and 2016 gold-medal team and the 2017 runner-up team. I would have named them the team favorites given their depth, except that they have a late drop of a top runner and will race one shy of a full roster. Ludovic Pommeret (pre-race interview) is fast becoming an ageless wonder, entering into this race a few months ahead of his 43rd birthday. In his fourth appearance on Team France, I believe, Pommeret should also be known as Mr. Reliable, having turned up a pair of fifth places and a sixth place in the last three years. Among a boatload of lifetime performances, Pommeret was the 2016 UTMB champ and third at the CCC last year. In March, he took second at the Trail du Ventoux, an early season race which always turns out deep French competition, just 30 seconds off the win. But that performance was immediately following racing for three days straight at the Pierra Menta ski-mountaineering race–no rest days between! Sylvain Court will make his fourth appearance at the Trail World Championships. Court was the 2015 champion, took third in 2016, and was off the mark in 29th place last year. Court is known for his special preparations for these events annually, but he’s also known for strong performances at longer ultras, so perhaps his result last year is more indicative of it being a shorter race. Then again, last fall he was way back in 15th at the French Long Distance National Trail Championships, too. Let’s hope he’s got his fitness back, as I think this course’s distance and style favors him. Sébastien Spehler has been performing well in French ultras for years, but he had two standout 2017 races, taking second at the French Long Distance Trail National Championships and winning Les Templiers. His win at Les Templiers had him ahead of an international field. 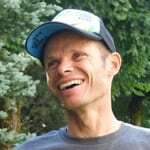 I believe Spehler has run for Team France once before at the 2015 Trail World Championships, but he DNFed then. Romain Maillard caught our attention two springs ago when he finished in the top five at Trail du Ventoux. Since then, his trajectory has pointed upward with a fourth place at the 2017 French Long Distance Trail National Championships and a seventh at the 2017 Les Templiers. He did DNF at last year’s Trail World Championships, however. 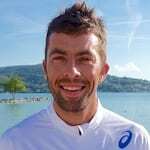 Adrien Michaud seems on a similar path with a third place at those same trail national championships and a fourth place at the 2018 Trail du Ventoux. I don’t believe Michaud has raced longer than about 60k though, so how will he fare over 85k? Top Frenchman Nicolas Martin is a late drop with a stress fracture. His drop came after the date in which Team France could name a replacement, which means they’ll race with just five runners. I think Team Great Britain turns up to this race in team medal contention. It’s hard to not see them in third place, with a chance of breaking into the top two on their best day. This is a fun and diverse group of men. Was the last time Tom Owens competed for Team GB at the Trail World Champs back in 2015 when he took fourth? Probably Tom’s top performances since then have been his second at the 2016 Glen Coe Skyline and fifth at last year’s CCC. He just had a firecracker tune-up in winning the Three Peaks Race in the U.K. a couple weeks ago. Tom Evans (pre-race interview) has been on a steadily emergent path since his surprise podium finish at the 2017 Marathon des Sables. Since then, he took fourth at the stacked 2017 CCC, then managed to win the 2018 The Coastal Challenge stage race ahead of one Hayden Hawks (who isn’t racing). He turned heads back at home last month when he ran 5:44 for a hilly 50 miles at the South Downs Way 50 Mile. Could this Tom be Team GB’s top performer? 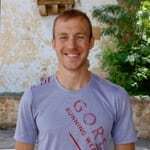 Jonathan Albon, with a background in obstacle racing, has been successfully poking around the Skyrunning scene for the last couple of years. His top results in that scene have been a win and a second at the 2016 and 2017 Glen Coe Skyline and a win of the 2017 Ultra SkyMarathon Madeira. Though Skyrunning races top out in the 50k range, it looks like Jonathan’s run at least 74k/10-plus hours at a race back in 2014. In a 10-plus-year trail and ultrarunning career full of strong performances, Ryan Smith (who is British but who lives in the USA) has several standouts. 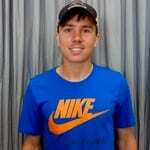 In 2015, he took ninth at UTMB and turned that fitness around just a couple months later to take fifth at The North Face Endurance Challenge 50-Mile Championships. A year ago, he ran 14 hours and 17 minutes on the famed Bob Graham Round in northern England, what is unofficially (long story) the second-fastest time ever, and an international-caliber performance. What can Ryan do here? Robert Sinclair and Casey Morgan round out Team GB. Sinclair’s best result out of a few year’s of trail ultras looks like a win and course record at the 2017 Highland Fling Race. Italy’s top trail ultrarunners seem to race internationally with less frequency than fast runners from other countries and because it’s not easy to access national-level trail-ultra results for them, getting my head wrapped around the capabilities of Italian runners on international stages isn’t easy. Team Italy’s top hitters appear to be Christian Pizatti and Stefano Fantuz. Both competed at the Trail World Champs last year, coming in 12th and 16th. Neither have additional international results of this caliber to give more color to their racing abilities. The next two men to watch for here are Andrea Macchi, whose been 22nd at UTMB back in 2015 and who took third at his home country’s internationally competitive Tor des Géants in 2017. Marco Zanchi is another steady Italian Eddy who, in 2016, finished 11th at UTMB and ninth at Diagonale des Fous. The other two members of Team Italy are Riccardo Borgialli and Simone Wegher. Borgialli’s best international result appears to be taking eighth at the 2017 Swiss Alpine Marathon. Does anyone know if Team Nepal will make it to the Trail World Championships start line? This isn’t the first time they’ve named an all-star line-up for an event like this, but we’ve also seen them run into issues with visas, funding, and travel. If these four men make it to the race start, I think they inherently have the team-podium talent and could potentially put a man in the top-1o overall. Nepali runners race really aggressively, and it’s easy for me to imagine with this course layout that they’ll struggle to save enough energy for late race. Come on, gentlemen, prove me wrong and show the world your talent. With only three team members, Team Sweden has their work cut out for them if they have any chance in the team department, but I still think they have a chance for a team medal. All three members have performances that make me think they can get inside the top 20 individually at this year’s event, as well. These are the individuals who we think could earn top-10 positions, and who haven’t been mentioned as part of likely-to-contend teams. If there’s any certainty amongst all the pre-race uncertainty, it’s that the USA’s Zach Miller (pre-race interview) will run for the win. And his results have proven over the years that often times he sticks it, and even if he doesn’t, he still finishes well. He’s only run for Team USA once, I believe, but that was for the 2014 IAU 100k World Championships, where he took ninth. Miller’s twice finished in the top 10 at UTMB (2016 interview), has won and taken second at the last two editions of the TNF 50 Mile Championships, and won the 2016 Madeira Island Ultra-Trail. The course and Miller are a good match, I think. Mario Mendoza is Team USA’s fastest returner from last year, when he took ninth, and it seems he’s only gotten better at trail and ultrarunning since then. He won the 2017 Moab Trail Marathon, the USATF Trail Marathon National Championships, and, then, the 2018 Bandera 100k. Just last month in a loaded field, he took third at the Lake Sonoma 50 Mile. Mendoza seems to get smarter and, thus, faster at every ultra he races. After multiple top-10 performances at the World Mountain Running Association Long Distance Championships and some strong but not equally comparable performances in international trail ultras–like 15th and 14th at the 2015 and 2016 Transvulcania Ultramarathon–Poland’s Marcin Świerc had a heckuva’ trail-ultra race in taking second at the 2017 CCC amongst a competitive field. Presumably, Świerc has sorted the specific needs of longer ultra racing, and I expect he should contend for the top 10. Sneaky, sneaky, Paddy O’Leary. An Irishman living in the USA, I almost missed his name on Team Ireland’s roster. O’Leary seems to improve each time he races of late. 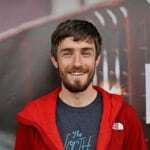 Some of his top results from the last several years include a ninth and fifth respectively at the last two The North Face 50 Mile Championships and a couple months ago he was third at the Chuckanut 50k. He’s raced abroad a couple times, with his best result being 14th at the 2017 CCC. It will be interesting to see how Paddy competes in a field like this one, but the potential is there. I’m going to be honest in saying that I don’t know much about the Czech Republic’s Jiří Čípa except that he took eighth at last year’s Trail World Championships. In looking at his trail-ultra results, he has a few years of top performances in home-country races. It also looks like he’s raced at least some on roads, running as fast as 1:08 in the half marathon. Can any reader provide more insight into Čípa? I believe Hélio Fumo is the Portuguese citizen with Mozambique heritage who finished 13th at last year’s Trail World Championships. This year, he took second at the Transgrancanaria Advanced, which was used as a qualifying race for Team Spain. The only Spanish guy he lost to was Pablo Villa by about two minutes. It appears Fumo has track and road running background prior to crossing over to the trails, having run at least 30:33 for 10k and 1:08 for the half marathon. Latvia’s Andris Ronimoiss is on an upward trajectory with his running right now. His top performance was just two weekends again when he won the Madeira Island Ultra-Trail. Before this, his top runs have been ninth at the 2017 Lavaredo Ultra Trail and fourth at the 2018 EcoTrail de Paris. I’m not sure how anyone can recover from 100-plus-kilometers of Madeira Island racing in just two weeks, but we shall see. Not long ago, Switzerland’s Diego Pazos finished in the top 10 of the Trail World Championships. That was 2016, what seems like the highlight time of his career. He’s raced quite a bit since then, but not at that same top level, his best result being fourth place at the 2017 Diagonale des Fous. Dude’s got wheels and strength in mountainous terrain, no doubt, and back at the 2016 Trail World Championships on a difficult Portuguese course, Pazos moved up as others moved back late race. Dimitrios Theodorakakos, of Greece, has the potential to go top 10 in this field. 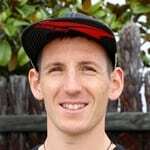 Some of his best results over the years include a fifth at the 2015 Transvulcania Ultramarathon, second at the 2016 UltraSkyMarathon Madeira, and sixth at the 2016 TNF 50 Mile Championships. Mustapha Bangura (Sierra Leone) — Is this the professional football (soccer) player? Does any one have beta? Which runner will become the trail world champion this weekend and who will join him on the podium? Who do you think will surprise the world? How will the team competition sort out? Leave a comment to let us know if there’s anyone else we should be looking out for who isn’t listed or if you know of someone we’ve listed who won’t be racing. We’ll keep updating this preview until race day. 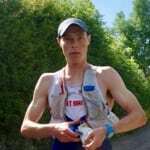 Rob Sinclair (Team GB) also broke Paul Giblin’s West Highland Way record last year..and went on to win the Devil o’ the Highlands, thus completing the hat trick of wins and course records on the WHW over a 4 month period. Thanks Megan for the INFO!! I “little” road map of the race in my Blog ;-) I was training there 2weeks ago. Yes I ran with the Romanians too, nice guys, Robert looks very strong. I live 2hrs away from the course and will be racing in the Finnish team. Oops am mixing things up, something to do with the visum makes Purna not able to come. Bhim Gurung is on peace missions. Thanks, Martin, for the link to Team Nepal’s updates. We’ll keep our fingers crossed that just maybe Purna will be able to get his visa and come. It’s great to hear that Romania will have a strong team this weekend. We look forward to learning more about the team members and watching them race. If Nick Elson (CAN) is fit, then he’s a strong contender for top 10 if not the podium. The more vert and technicality the better. I think team GB is pretty solid and could possibly take the win if they all perform on the day. Favourite has to be between luis Alberto and Tom Evans, not sure how on form ZM is. USA’s Chris Raulli from the beastcoast has put in a great training block! He will add to a strong USA team. Formerly, he won USATF’s 50 mile trail championship at Cayuga Trails. Chris is a very strong runner. I hope he has a great day at worlds! Don’t sleep on Ryan Smith from Boulder, CO representing team GB. Dude is fast. Ran a fast BGR last year and now has UltraDad power. Think GB are in for a great shot. Prep has gone well and all seem to be running strong. Evans, Owens and Sinclair have the speed to do well. Morgan has a strong win at Mallorca. Buzzing for this! Go on TeamGB!!! Jon Albon also has some serious speed and grit. 2hr 26m on a hilly marathon (500m of climb) and has beaten Luis Alberto before at Tromso and been minutes behind Kilian at Glen Coe… It’s a long distance for him as a trail race but the guy is used to time on his feet (over 100miles with obstacles in between becoming the World’s Toughest Mudder champion). really can’t call it who will be GBs top performer. Here is Jiří Čípa’s road running history: https://www.behej.com/bezecke-tabulky/zavodnici/55010 (it’s in Czech but the structure is clear and understandable, I guess). He ran a 2:22 marathon a month ago and 1:09 half marathon two weeks after that.